Adoption is a wonderful thing! It is placing one person into one family, who promises to be their “forever family.” It’s like grafting a new branch into an old tree. An adoptive family is a family that contains at least one adopted child and at least one adoptive parent. If you look hard enough you can probably spot some adoptive families in public! They are unique for a number of reasons. Adoptive families don’t look like other families. When we look at “normal” families, we expect some similarities. Similarities in skin tone, similarities in hair texture, and even similarities in voice. In an adoptive family, you may have none of that. Adoptive families can be transracial, international, or have members of the same family from different parts of the country. Adoptive families look different. Therefore, they must be prepared to answer questions like, “Why don’t you look like your mom?” or “You’re white. Why do you have a black sister? This comes with the territory. The adopted child must know that diversity is beautiful and that his identity is found in not only his birth family but also his adoptive family’s. Adoptive families may not be biologically related. Unless an adoptive family is a kinship adoption, they individuals are not related by blood. The implications of this are tremendous. It means that not only do people look different, but also children will have different genetics than their parents. There’s nothing wrong with that. 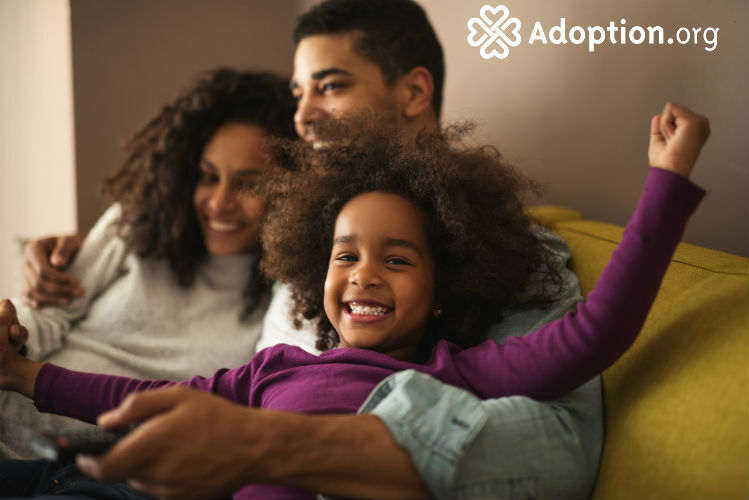 It just means that number one, adoptive parents must keep their child connected to their culture, especially if their child is a different race. Secondly, it means that adoptive parents must be prepared by knowing the history of their child’s birth family, for many reasons including medical and physiological. Adoptive families are BIG families! I have eight children, six of which are adopted. There are 20 years between the eldest and youngest, so there is a wide gap. However, many adoptive families are large and are very close in age. Why is that? Well, each family has a different story, but in our experience, we started our making adoption our mission and passion in life. Then as time when on, people started consulting us when they had a child in need. We have been happy to open our home in those cases. Adoption is addictive! How could we say no to a child in need? Adoptive families are beautiful! They are a picture of what happens when one part of the human race decides to care for another human being. Adoptive families are self-sacrificial! They take a risk by giving another child, not their own, a place in their own home without thought of self. Adoptive families love unconditionally. They give without thought of getting back. Adoptive families are not perfect, but they are awesome!